My sons are huge Dr. Who fans. They bugged me and bugged me about watching this one episode with them before they sent the Season 5, or maybe it was 4, DVD back to Netflix. I kept beating around the bush. I like Dr. Who, just never have time to sit and watch an entire episode. We were still at the end of the school year at the time, but I promised them that before the mailman came, I would drop everything and we would watch the episode. They said I would love it. It turned out to be the episode about Vincent Van Gogh, a man I had always thought of as some kind of freak, even though I’d pitied him for the stories I’d heard about his life. By the end I knew why my boys were so sure that I would love it and while I was biting my tongue trying to keep my eyes from leaking, they both looked at me and I saw that their eyes were glassy too. My sweet, sensitive boys. I hope they don’t resent me for posting this to the world if they ever see this, but it was such a touching moment for me. I thought the episode was going to be about some cool, new alien, sucking the brains out of people’s ears or something. I mean I do have one teenager who is fascinated by those types of things and a preteen who nervously watches anything that his brother thinks is cool. It was one of those moments as a mother that I will never forget and that silly episode reminded me that people who are in pain are hurting for a reason. I think the writers of Dr. Who did a great job of showing us who Vincent may have been. There was definitely more to him than the stories show us, I have learned through research since watching that episode. As an obsessively creative person who is critical of a lot of what I produce, I can understand that if mental instability is added to obsessive creativity, it could send a person over the edge with frustration. This seems to be the crux, from what I’ve learned, of the problems that plagued Van Gogh. I’m still not a big fan of his work but seeing him through my sons’ eyes has given me a real soft spot for the man. And I know that there are better role models for my sons than a man who took his own life, but the fact that they can see beauty in the world is what makes me most proud. So the point of this lengthy review is that while oohing and ahhing over the different cheeses in the deli case of a local grocery store, the boys and I stumbled upon Vincent cheese from Holland. How could I say no to those sweet, upturned eyes as they asked politely if we could try it? Turns out it is probably my new favorite cheese. I say “probably” because it has a similar taste and texture to Kerrygold Irish Dubliner which is my favorite. I think Vincent is a little sharper and has little buttery pockets all through it. One of these days I will buy both and compare them side by side. I knew that Dubliner is great with eggs, so I used a bit of Vincent in the fritatta. Mmmm! Sunday Brunch this week was going to be Ham and Cheese Souffle’s but by the time I got around to making them, they just seemed like too much work. 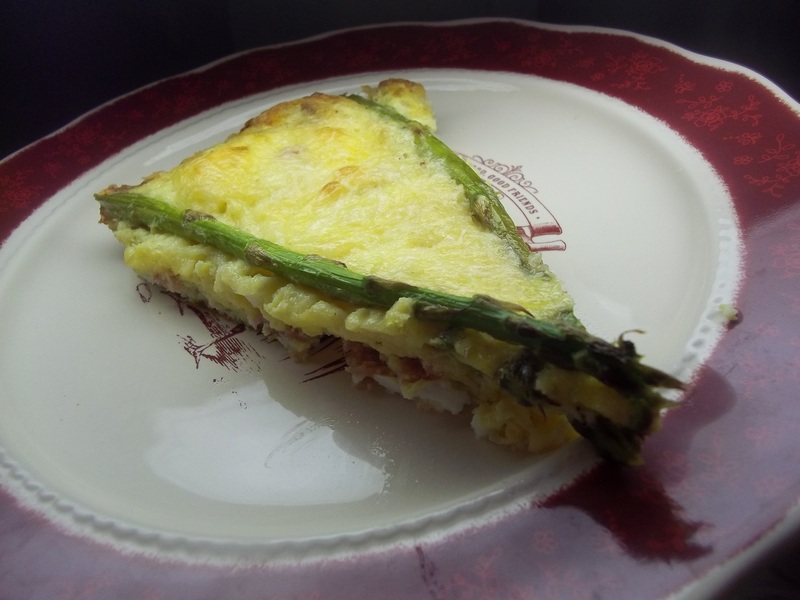 I took the ham, cheeses I’d made and purchased, and asparagus that I had on hand and in no time flat we were sitting down to eat a cheesy fritatta. Very nice along with blueberry muffins made by my little boy and a cup of fresh, hot coffee. 4 oz. ham, sliced. 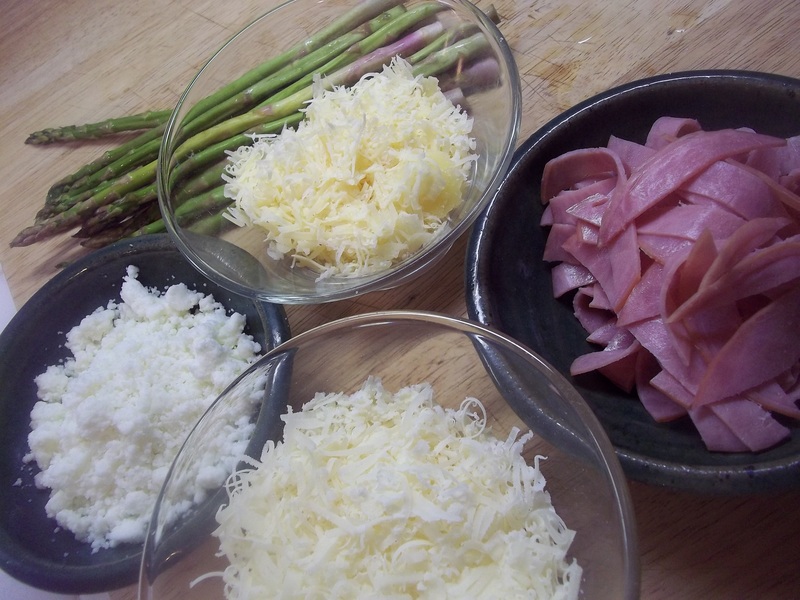 I use Hormel Natural Choice lunch meat because it is preservative free. 2 oz. goat milk ricotta. I used the one I had made and drained it a little, but regular ricotta or cream cheese would be a great substitute. 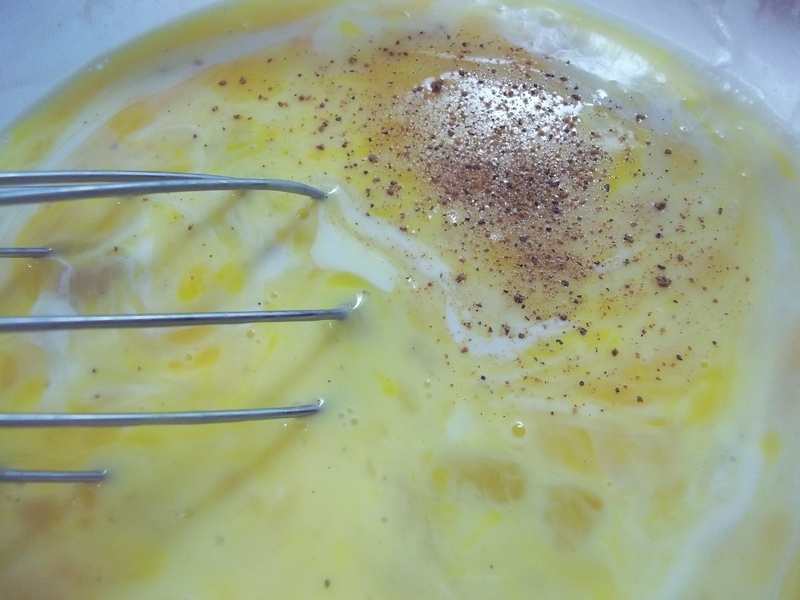 Beat together eggs, salt and pepper, nutmeg, and cream. 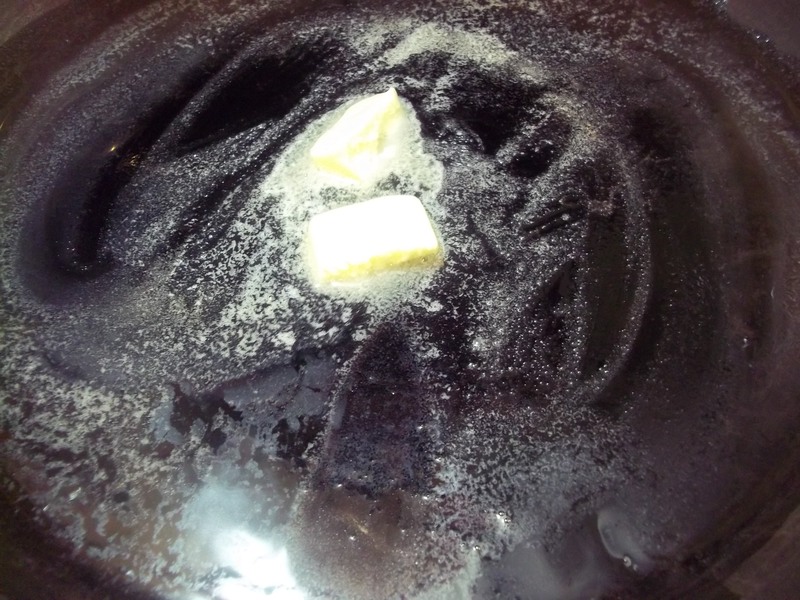 Melt butter in a large, skillet over medium-high heat. Pour in egg mixture. Allow edges and bottom surface to set up. 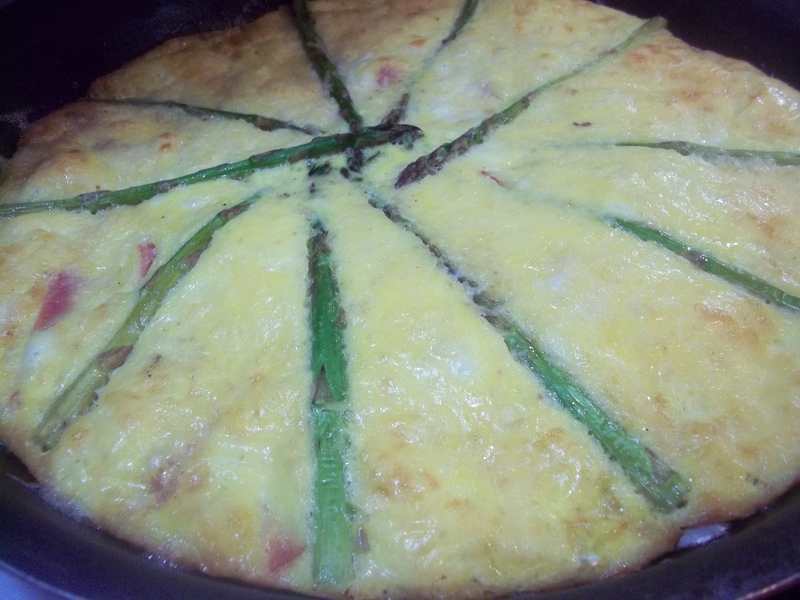 Lay asparagus in the eggs like the spokes of a wheel so the tips meet in the middle. 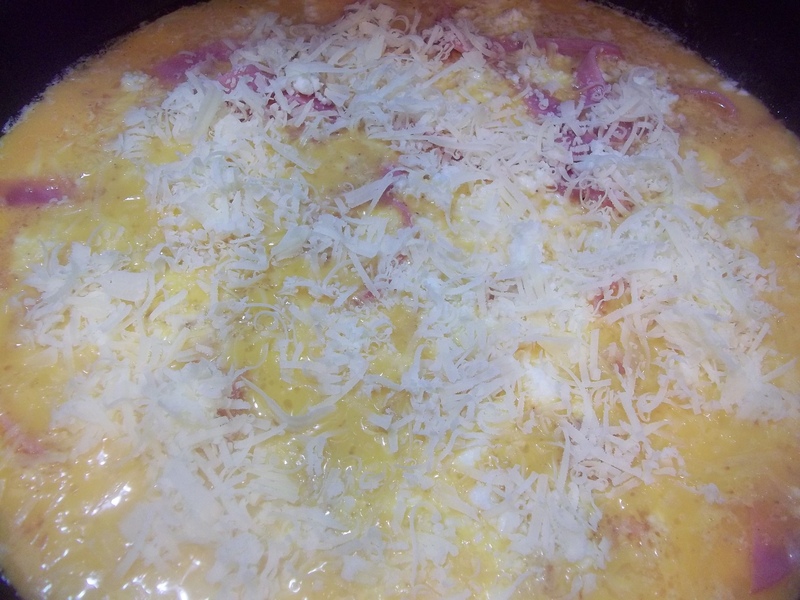 When the eggs begin to set up all the way to the center, place the pan in oven. Bake for 9 minute or until done all the way through. Cut into wedges and serve. Doctor Who used to frighten the life out of me when I was a kid. I used to hide behind the sofa. The old, old Dr. Who was pretty scary looking with that do. hee hee.